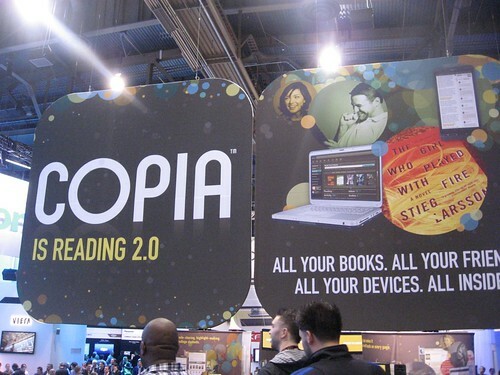 I want to use Copia for eReading. I really do. But I can’t. Yes. Social meets reading. And I love that idea. Being able to easily see what books my friends are reading would be fantastic (yes, I’ve been trying GoodReads, but I just can’t remember or be bothered half the time to go there…perhaps they can integrate with Kindle or something). Copia is cool because you can leave notes and comments in books for your friends to read when they get to those parts. They also have a really slick user interface and apps for pretty much every device. And so I can’t start buying books in yet another eReader. Though I want to. Oh, how I want to. How about we come up with a standard file system for books the way we have .mp3 for music? Oh, right, because of the dollar bills attached for the very reason I had to write this post, mainly its really hard to switch platforms and devices right now. Companies win, people lose in that scenario. Anyone out there using Copia?